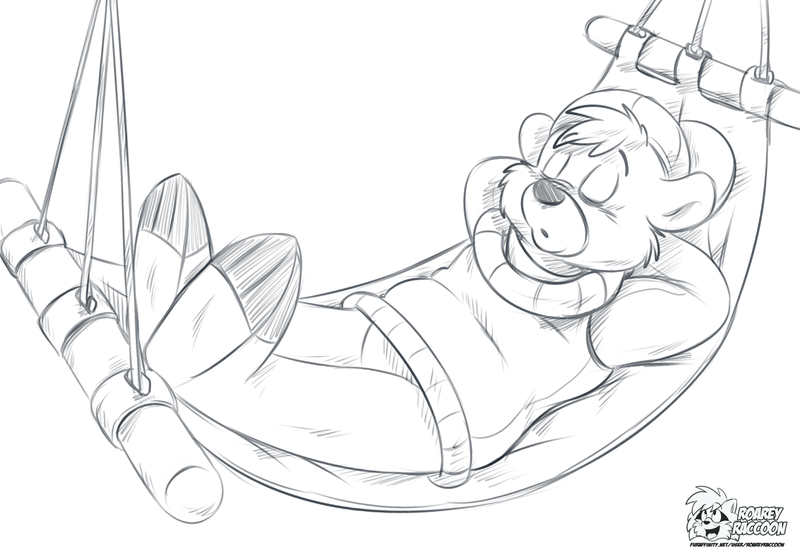 of Kit Cloudkicker snoozing in a hammock XP. So cute. And his feet are so tempting! Why, does this look like a "Fave"? Why, does this look like a "Fave"? Why, yes. Yes, it does. Roarey does always capture the essential quality of Kit in his pics. Very true to the original character. I'd be nice to see more relaxed, sleeping scenes. Very cute rendition of Kit there! That's cute... and a nice play on words for the title.